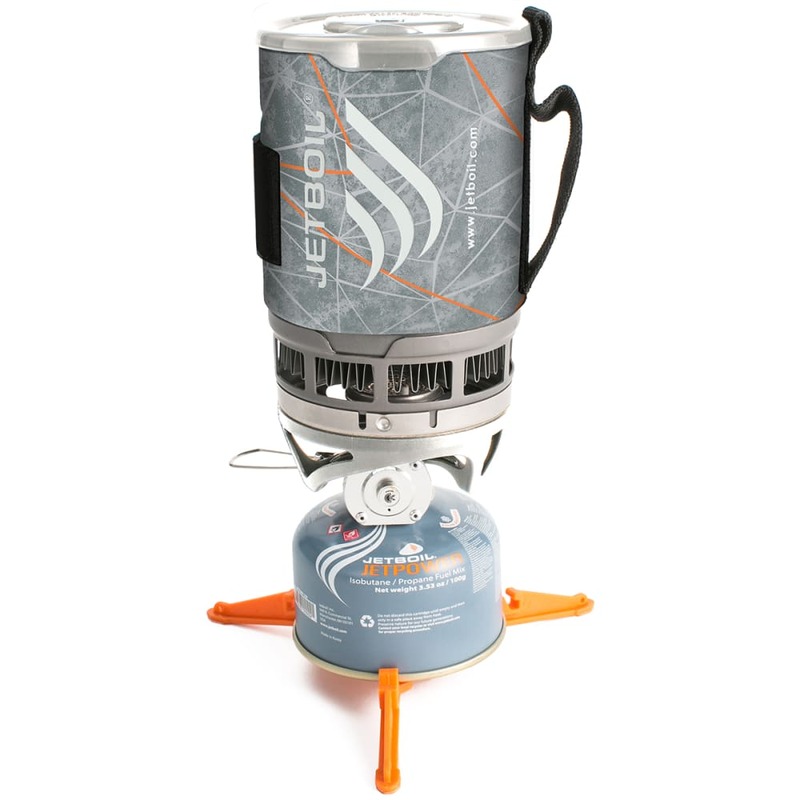 Delivering a high degree of cooking performance on backpacking and mountaineering journeys, this lightweight, low-profile stove gives you the essentials in one extremely compact package. Whether you’re boiling water or making something more complex on the trails, it operates in temperatures down to 20° F and even comes with a wind-blocking shield, so you can prepare food in a range of outdoor conditions. For your basic needs, its functions encompass simmer control, a simple push-button igniter, a drink-through lid, and an insulating cozy. Holds up to 27 oz. Measures 4.1 in. by 6.5 in.